One-of-a-kind finds in a fairy-tale-y shop-and-stroll setting? Yes and yes. 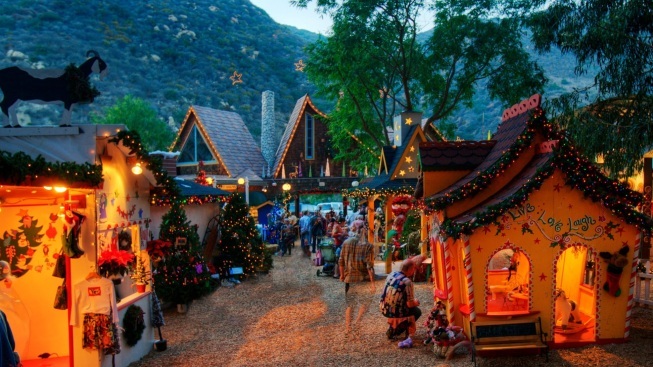 Enjoy the charming and iconic shop-around event each weekend day through Sunday, Dec. 17. SUNDAY, DEC. 17, 2017: That's when the Winter Fantasy flies off, in its enchanted sleigh, for another year. But before then? Browse the one-of-a-kind, too-funky-to-pass-up goods created by 175 artisans, and pick out the perfect piece of blown glass or beach photography for the person you want to delight the most this season. There's a good chance that the artist is in the booth, too, so you may be able to meet the artwork's creator. And as for the cooler-weather'd fest's aforementioned "individual charms"? Think entertainment with a fa, la, la flavor, Santa sightings, "thousands of holiday decorations," and lots of other warm-the-cockles, only-at-the-Sawdust sights.